Having a more stable and tighter strands means it is also safer for people with asthma or allergies and is generally cleaner and easier to maintain. Another advantage of BCF synthetic fibers is that it is more resistant to pulling especially if you have pets roaming around. The only down-side of BCF fiber is that it is more suitable for carpets with patterns and design because it’s color is a little bit non-uniform compared to the staple type. BCF fiber is also a little bit more expensive. As you can see on the photos, our customer chose gray and blue shades but its pattern is not as fine and detailed as those staple carpets. Nevertheless, the total pattern and color it produced is very appealing and very professional looking to the eye. 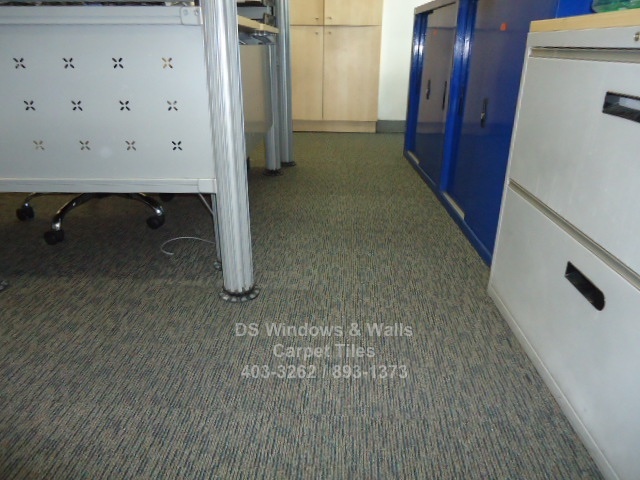 If your carpet office requirement is in the mid-end in terms of price, these type of carpets are in these range. Generally they are also thicker and more durable compared to lower-end carpet and these carpet also last 10 years or more. 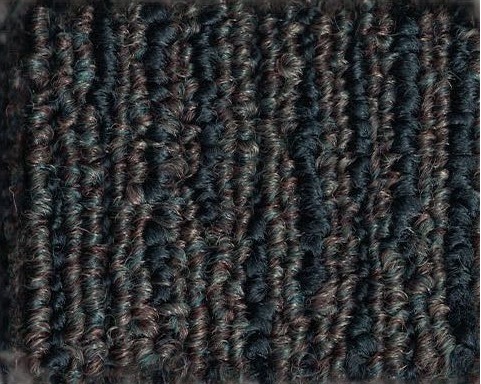 Lights carpet is also multi-level textured loop type, its tufted pile height is 3.0, 4.0, and 5.0mm +/- 0.5mm and its total thickness is about 7.5mm +/- 0.5mm so it’s pretty thick compared to your lower-end carpet. Its pile yarn weight is 680 grams per square meters and its backing type is PVC with fiber glass reinforcements and was treated with fluorocarbon anti-soil treatment anti-static built into fiber. 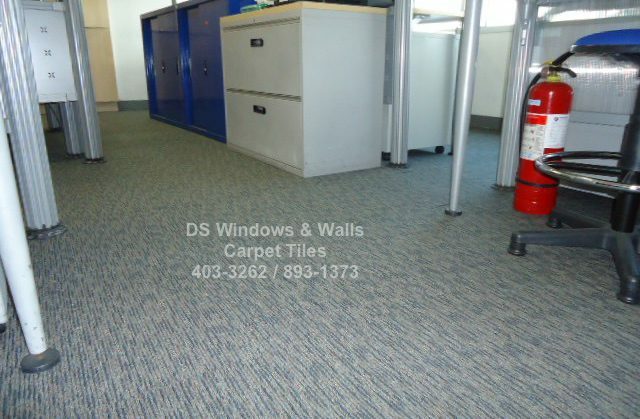 For your carpeting needs, please don’t hesitate to call us at (02) 403-3262 or (02) 893-1373. 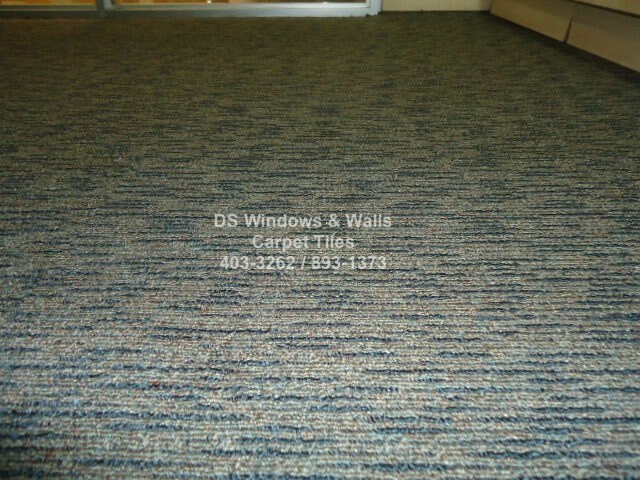 You may also email us at inquiry@dswindows.com or visit one of our mall sales branches.